Product prices and availability are accurate as of 2019-04-18 18:18:26 EDT and are subject to change. Any price and availability information displayed on http://www.amazon.com/ at the time of purchase will apply to the purchase of this product. 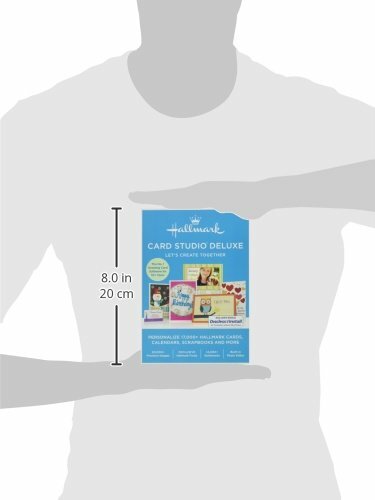 For more than 100 years Hallmark has designed greeting cards for life's special moments. Hallmark Card Studio Deluxe extends this tradition, making it easy to create one-of-a-kind Hallmark cards as unique as the people you care for. In three simple steps you can add personal photos, sentiments and clip art images of your choosing. 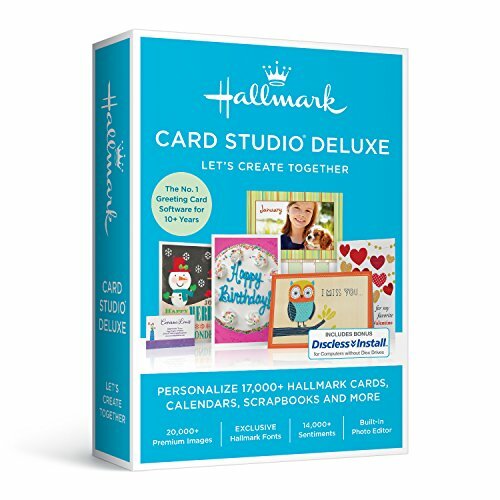 Creating customizable Hallmark cards is quick and easy with Hallmark Card Studio Deluxe. But cards are just the beginning. You'll get 17,000+ cards and projects, 20,000+ premium clip art images, exclusive Hallmark fonts plus an Event Planner to remind you of important dates. What's more, with the built-in photo editor, you can fix, edit and enhance digital photos before adding them to your card creations. 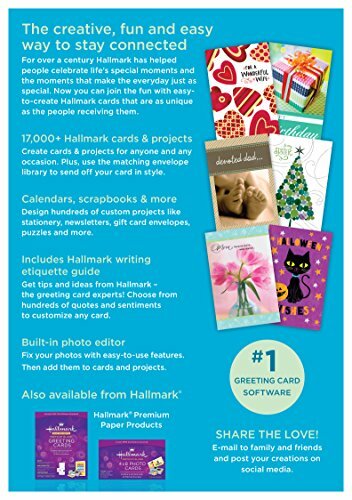 It's amazing what you and Hallmark can do together!